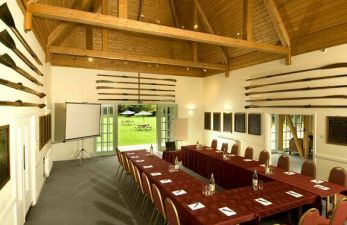 Easy accessibility from London and London's airports, the M4 and M25 motorways and mainline railway stations makes Queen's Eyot the ideal venue for board meetings and discreet conferences. Enjoy a romantic river cruise arrival on the island. 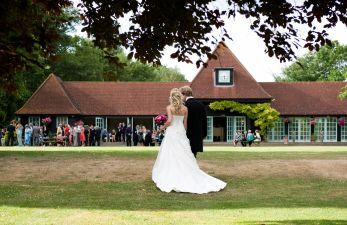 Queen's Eyot has the winning combination of an unusual, secluded venue, excellent catering, a varied wine selection and professional, friendly staff. The island has been owned by Eton College since 1923, and has a beautiful clubhouse built in a classical style from cedar and pine. The clubhouse is surrounded by extensive, well tended lawns and mature trees and has views of passing boats and wildlife on the river. Queen's Eyot exceeded our expectations - some of our guests said "fairytale" and "amazing location". We cannot thank you all enough. Wonderful. The only thing that made me sad was that we realised we may never go onto the island again! Everyone said how wonderful the venue was. To be honest, both of you made the day so perfect and stress free for us we cannot thank you enough.